At this time of year when 45 million turkeys are murdered in the name of “giving thanks” (when you figure out a logical explanation for that one, let me know! ), my calendar always has room for another vegan Thanksgiving. That’s why I snagged two tickets for Pittsburgh VegFeast, a benefit for Justice for Animals and the Western PA Humane Society that was held on November 21. When we got there, we walked to the “red carpet” to get a photo taken by Splice Photography. There was a fluffy orange kitty that you could hold during the photo if you wanted, and I said “yes!” enthusiastically. We wound up a staircase and walked into a room bustling with more than 200 people. Since we got there later than others, we had to search for seats, eventually settling down on the far end of the room. 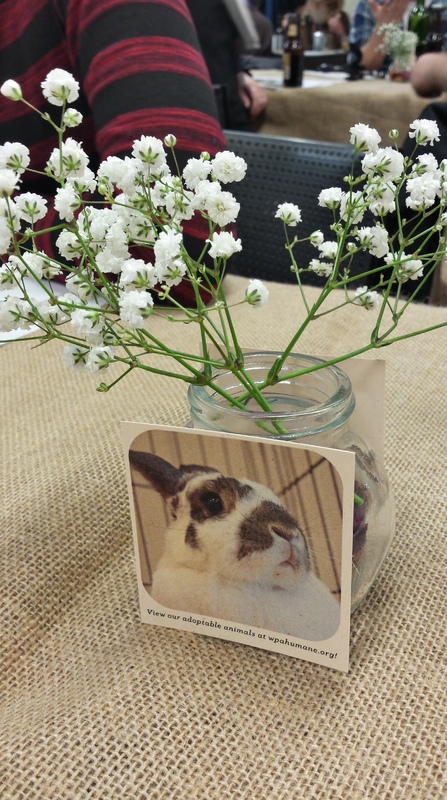 The tabletop, quaint with burlap cloth, was accented with minimalist flower centerpieces and pictures of animals with the caption “View our adoptable animals at wphumane.org!”. The Chiodi Trio played away as we mingled, and my love and I enjoyed each others company after not having much time together in a while. 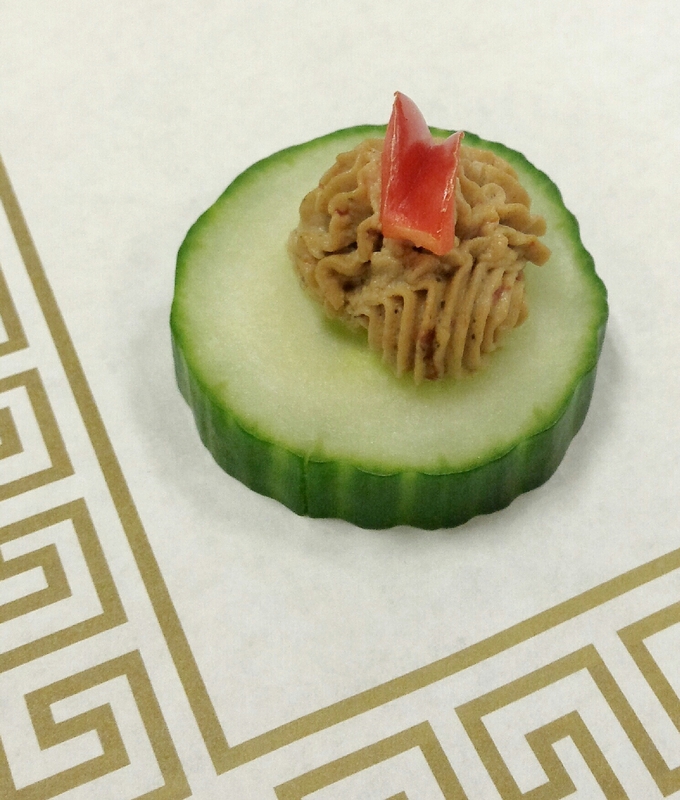 I sipped on a sparkling lemonade, and ate a couple of the canapés that were provided by Red Lotus Foods. I remember trying their sun-dried tomato and roasted garlic cashew cheese spread this summer at VegFest. My eyes widened when I saw them and I told my partner that he must try them. We had one of each flavor (I think the other was roasted garlic) to whet our appetites. Our table ended up being 2nd to last to line up for dinner, so after chatting with a few people and relaxing, we walked downstairs and visited the bunny, kitties, and rodents in the hallway. I made friends with a little mouse. 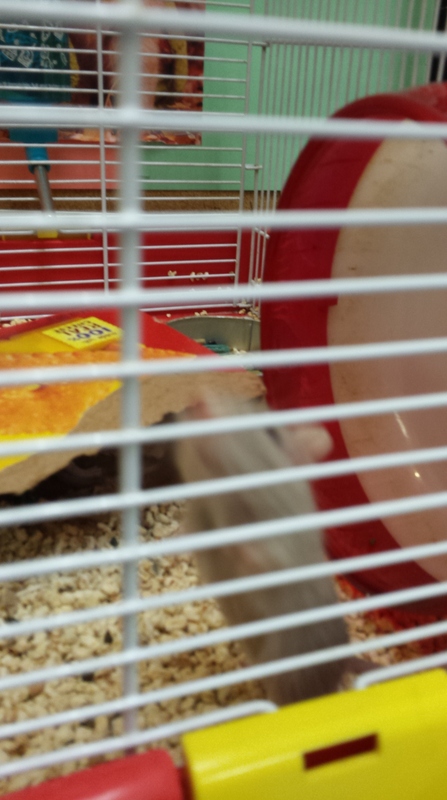 The others were shy, but he kept coming over to me to say hello (quickly, mind you, hence the mousy blur). The friendly little guy made me miss rescuing ratties in a big way. I also met Juno. 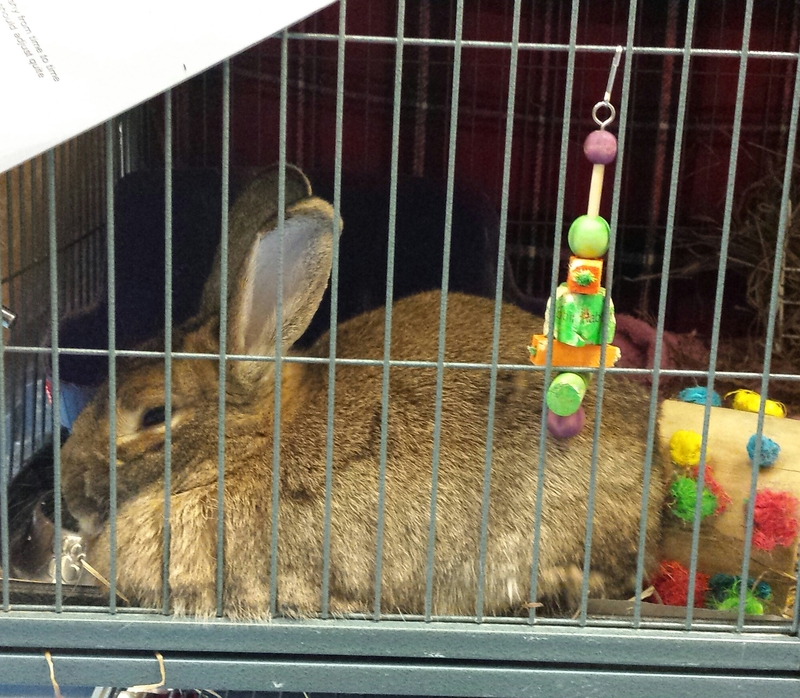 I love bunnies and would love to adopt a couple someday. Right now, we don’t have an extra room to separate them from Tucker. Odds are Tucker would snuggle them and give them kisses, never harming a hair, but I can’t take a chance like that with living creatures. So, no bunny yet! 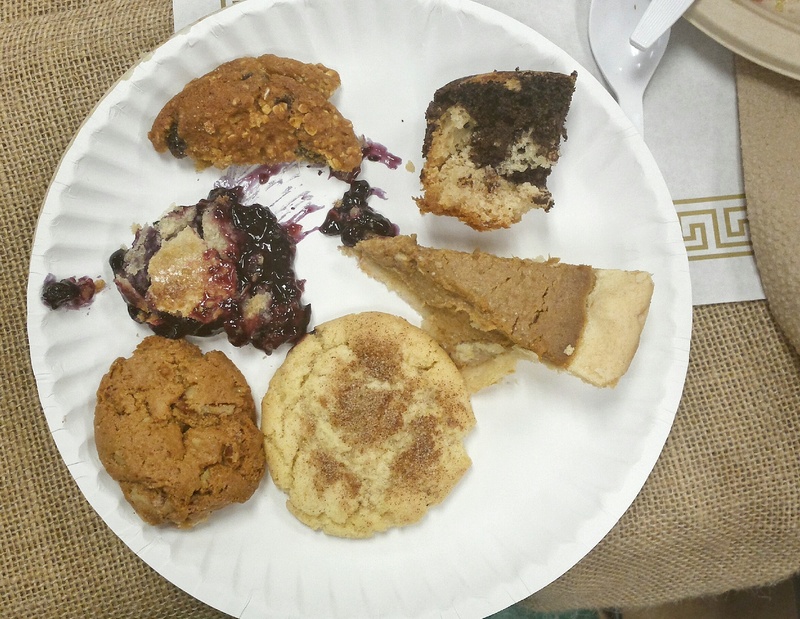 Afterwards, we hit the dessert table and nibbled on a few things before saying our goodbyes. It was a really fun (and omg so delicious) night. 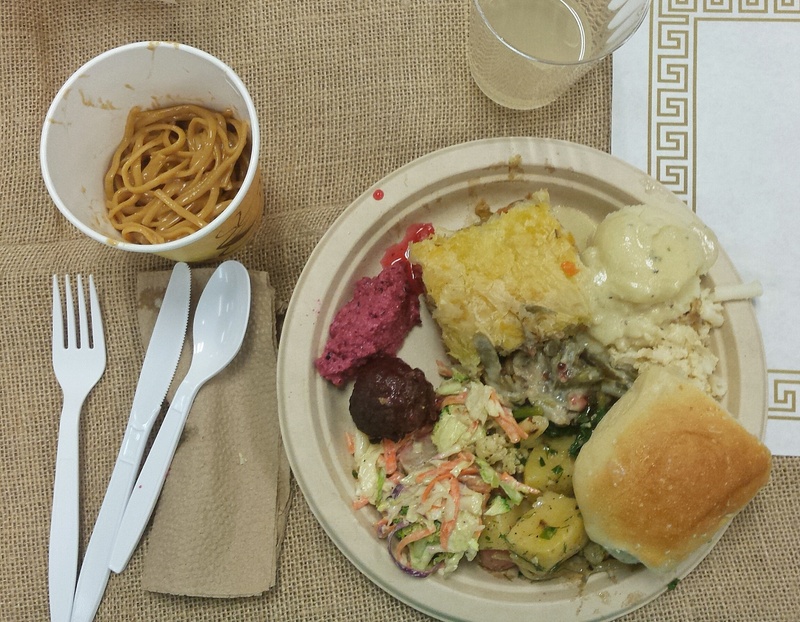 I hope they do another VegFeast next year!